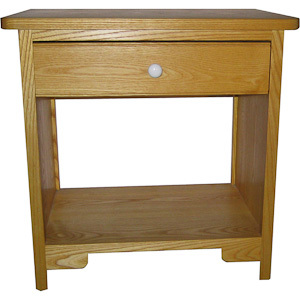 The Pemaquid Nightstand has a simple elegant design. Its clean straight lines and beaded edge provides a nice piece for the country home or the contemporary home. The piece shown here is in ash with an aged oil finish and wax top coat and has a single drawer. As an option a three-drawer unit or a unit with a single drawer is available.